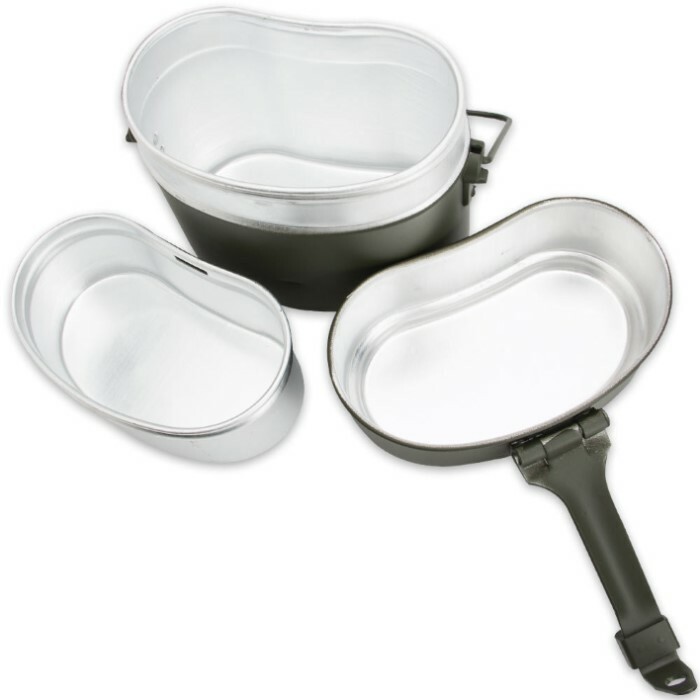 German Style 3PC Aluminum Mess Kit, New | BUDK.com - Knives & Swords At The Lowest Prices! 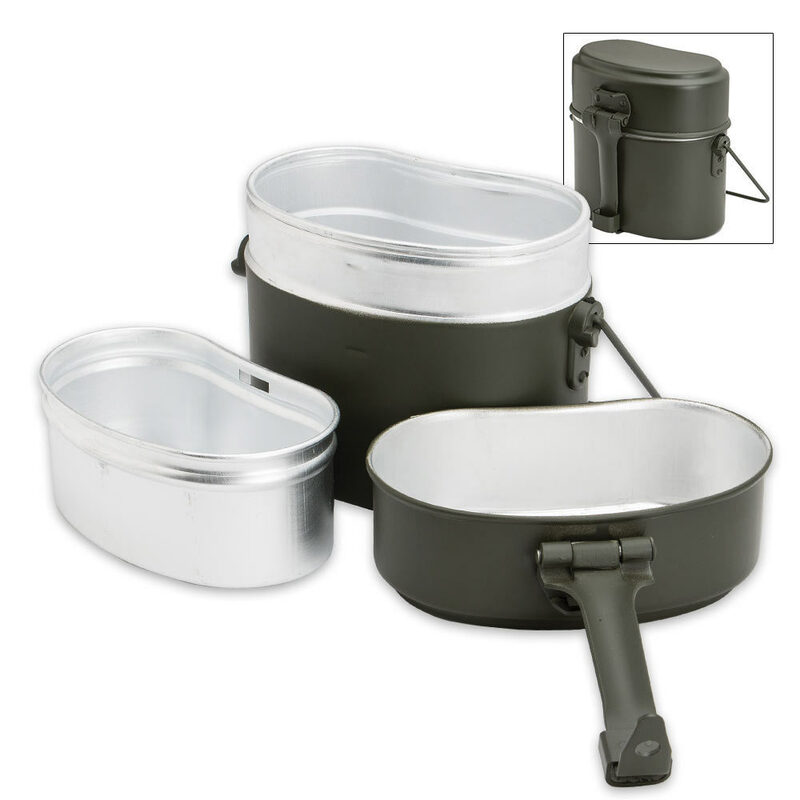 This aluminum German style Mess Kit is authentic, never before issued. The container opens up to reveal a cup and a lid that can each serve many purposes. The aluminum construction makes this kit durable yet lightweight. 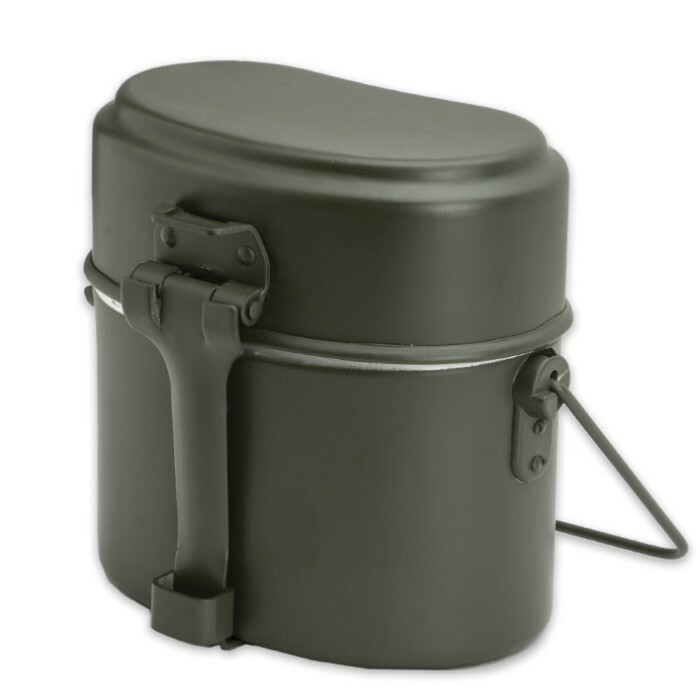 This kit is ideal for camping, outdoors and for extreme survival.